Earlier in the year, groups from classes were selected to compete in the Kiwi Competitions. This was a test to test our knowledge in Mathematics, and English. I was luckily selected in the LS2 group, and took part in both tests. 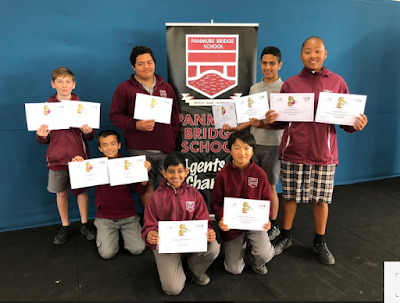 Numerous schools competed against each other to gain the best score, and just last week in assembly, Panmure Bridge school received, and gave us our scores via certificates. In English, I managed to get above 80% of the questions correct, along with a few of my peers. Although, in Mathematics, along with everyone else, I received a participation award (Under 50%). The mathematics test was very difficult, and above our average questions. The questions we received were all difficult in their own way, and there was no way that I would have chance to get an excellence, or even a merit. It was just that hard. Although I am happy with what I managed to score, and hope that if I ever take part in it again, that I can score better results.